Trover, an app and website for travel, culture and photography enthusiasts, today announced that it has raised a $2.5 million funding round led by Concur Perfect Trip Fund. The company’s existing investors, including General Catalyst Partners, Benchmark Capital and the company’s co-founder Rich Barton, as well as a number of its original angel investors also participated in this round. Concur’s co-founder and senior VP Michael Hilton will join the Trover board. 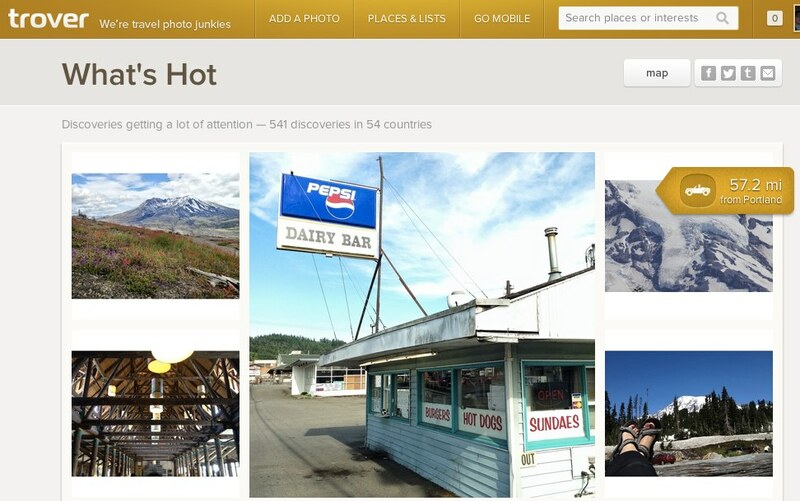 In total, Trover has now raised $5.4 million, though the funding story is a bit unusual. The company was founded out of the remains of Travelpost, a travel review site that shut down in January 2011. At the time, Travelpost still had $2.9 million of the roughly $9 million it had raised in the bank and that was used to fund Trover. Because of this, the Trover team refers to today’s round as its “Series One” round because they were essentially already working from Travelpost’s Series A money. The company plans to use the new influx of capital to accelerate the growth of its community and improve its apps and tools. Trover also today launched the latest version of its iPhone app, which offers a streamlined navigation and more ways for users to find each other and share information about their travel experiences. At first, the service may feel a bit redundant in the age of Facebook and Twitter, but it’s got a very dedicated user community (I’ve been a member since it launched) and the photography on the site is surprisingly good.